The flu is spread most through saliva and mucus, so unwashed hands are an enemy. 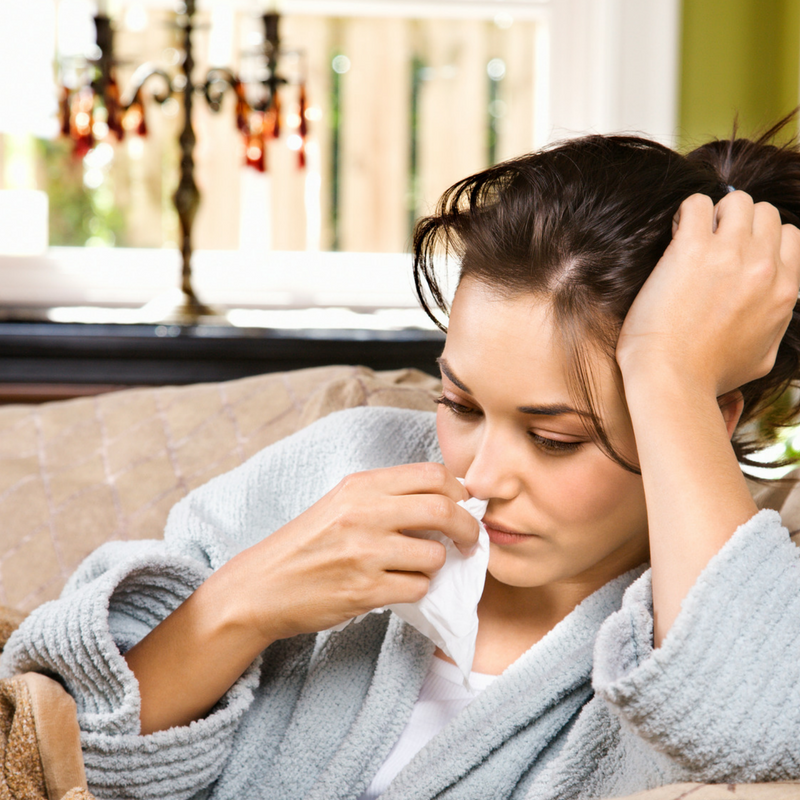 When people are sick with the flu, they usually have fever, body aches, and congestion. Here are some ways to protect your mouth if the flu hits you this season. Some suffer stomach distress alongside these symptoms. Both congestion and vomiting increase the amount of damaging bacteria and acid on our teeth. Because the flu virus can survive on a hard surface for a full 24 hours, the virus is able to live on your toothbrush for the entire time you are sick. When someone is sick with the flu in your home, it’s smart to trash all the old brushes. Best practice is to keep a set of new toothbrushes in the medicine cabinet for such occasions. One of the symptoms that accompany the flu is dehydration, which leads to dry mouth. If your mouth is dry, it is easier for bacteria to exist in your teeth and on your gums. This can cause cavities and gum disease to flourish. Be sure to stay hydrated while you are sick to keep bacteria from developing. There are many beverages that people may suggest for rehydration, but water is the best. Sports drinks can be effective, but they have a lot of sugar that can cause damage if you drink them too much. Another way to reduce the bacteria in your mouth while you are sick is to gargle with salt water. If you dissolve some salt in warm water, it can help get rid of the bacteria on your teeth. This can be an easy way to take care of your mouth if you’re very nauseated, making toothbrushing hard. Sugar in almost any context is bad for your teeth. Many types of drugs, like cough drops and children’s liquid medication, contain large amounts of sugar. Check the labels before you stock the medicine cabinet, and try to buy a medication without large amounts of sugar. If you cannot find one without sugar, make sure to brush your teeth after taking it. If you want more advice or information on keeping your oral hygiene top-notch while you have the flu, talk to the team at P. Bruce Easter, DDS.